WASHINGTON - Dec. 11, 2018 - PRLog -- Students at the George Washington University Law School are charging that the institution "swept the incident under the rug" "to avoid bad publicity" after the school first reported the use of one word in a private conversation to the University's bias reporting process for a formal, official, secret, and possibly disciplinary investigation, and has now hired a private mediator to deal with the matter, but all the while also indefinitely postponing any resolution. The problem began when the president of the Student Bar Association [SBA], in a private conversation about a possible violation of GWU's alcohol policy by a Jewish fraternity, allegedly used the word "Jew"; referring to the group as someone's "Jew friends" (one version) or "the Jews" (a slightly different version). 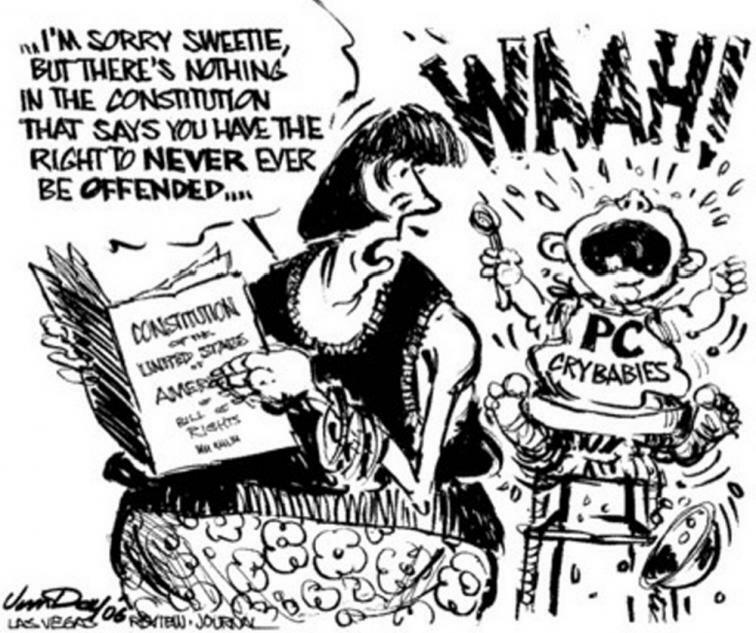 Rather than letting law students and their various organizations deal with the matter, the Law School itself - in apparent violation of its written guarantees to students of free speech and academic freedom - made a formal complaint for an official investigation by GWU's bias response investigators, reports GWU public interest law professor John Banzhaf. More than 200 colleges and universities reportedly have similar bias programs, often called bias response teams (and sometime even called the "speech police") which investigate allegations of allegedly biased words; an investigation which can result in a student being disciplined or required to attend diversity training (sometime termed "indoctrination"), and in any event having the effect of chilling free speech, even strictly private speech which is even more fully protected, claims Banzhaf. However, according to the official GWU newspaper, law student members of the organizations involved are now fearful of "retribution from law school administrators," but have nevertheless charged the administration with trying to "bury the issue" by hiring an outside mediator to conduct mediation sessions at some unstated time in the spring. Senator members of the SBA said they oppose the imposition of mediation sessions, and would rather resolve the matter themselves as a student organization. GWU's new bias response program is very similar to what was called at the time its anonymous snitch program. As the Chronicle of Higher Education reported at the time, it was shut down after GWU's Faculty Senate twice condemned it as a "affront to academic freedom," and GWU's president at the time sheepishly admitted that "one of my vice presidents got a little carried away." Moreover, as the Wall Street Journal reported in "The Bias Response Team is Watching," "records from numerous universities show that even obviously silly or trivial incidents are taken seriously by Bias Response Teams." USA Today, in "To Fight Bias, Colleges are Employing Literal Speech Police," added that "most bias incidents that are reported are constitutionally protected speech." In this specific situation, it is not even clear that using the word "Jew" to refer to a person who is Jewish is "biased" or otherwise derogatory. For example, a Jewish author argued exactly that in an article in the Washington Post entitled "'Jew.' Why Does the Word for a Person of My Religion Sound like a Slur?" A similar thought was expressed by another Jewish writer in a New York Times piece entitled "Reclaiming 'Jew'" in which he said :"So it's time for us to own 'Jew.' We can do so by using the word more ourselves, and by giving everyone else permission to call Jews Jews." In this regard, Banzhaf notes that even the use of words which are clearly and obviously derogatory of those who practice the Jewish religion - e.g., "K*KE," "H*BE," "H*MIE," etc. - are fully protected under the First Amendment and academic freedom, even when used in a public discussion, much less in a private conversation between people who are not in the group being denigrated and thereby are not directly denigrated. Indeed, the Washington Post, in a piece about a university president entitled "A Red Flag on Campus Free Speech," noted: "he thereby effectively made those who disagreed with him [about Trump's election] eligible to be targets of the university's 'bias response teams.' That his announced contempt for them made him a suitable target of the thought police is a thought that presumably occurred to no one, least of all him. Now, however, this leader of a public institution is being sued for constitutional violations."